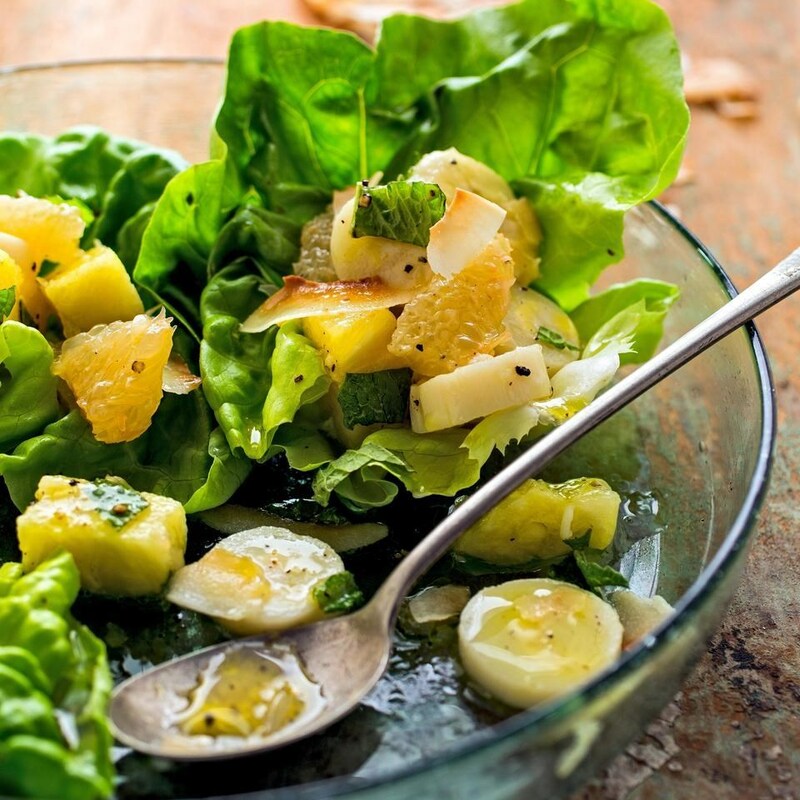 In this healthy side salad recipe, hearts of palm bring balance to the flavors of this pleasantly sweet tropical fruit salad with pineapple, grapefruit and bananas. Serve alongside grilled chicken or coconut-crusted fish. To prepare vinaigrette: Whisk oil, lime juice, 2 tablespoons mint, salt and pepper in a small bowl. To prepare salad: Slice both ends off the grapefruit. With a sharp knife, remove the peel and white pith; discard. Working over a medium bowl, cut the segments from their surrounding membranes. 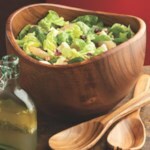 Add pineapple, hearts of palm, bananas and 3 tablespoons of the vinaigrette; gently toss to combine. 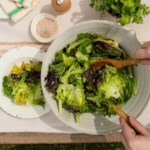 Arrange lettuce on a large serving plate or in a shallow serving bowl. 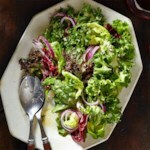 Drizzle with the remaining vinaigrette. 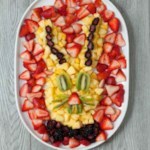 Arrange the fruit salad over the lettuce and sprinkle with coconut. 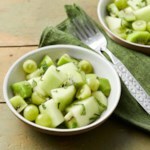 Garnish with mint, if desired.